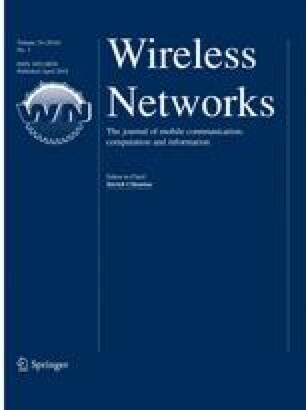 Trust Management has been proved to be an effective method to detect malicious nodes and ensure security in Wireless Sensor Networks (WSNs). While, most existing trust management methods are not good at dealing with uncertainty of trust relationship such as randomness, fuzziness in WSNs, which leads to inaccurate trust metric. In this paper, a trust evaluation method for clustered wireless sensor networks based on cloud model is proposed and evaluated, which implements the conversion between qualitative and quantitative of sensor nodes’ trust metrics in order to achieve better trust evaluation. Firstly, the method considers multi-factors including communication factor, message factor and energy factor and builds mathematical model for each trust factor to get factor trust cloud. Secondly, immediate trust cloud is calculated by assigning adjustive weights for each factor trust cloud and combining them. Thirdly, recommendation trust cloud and immediate trust cloud are synthesized according to time sensitive factor in order to get final trust cloud. Furthermore, the final trust cloud of sensor node is converted to trust grade by trust cloud decision-making. Verification Experiments manifest that the proposed method has feasibility and accuracy in the aspect of evaluating sensor nodes’ trust. Moreover, comparison experiments under different attacks show that our method is sensitive to multiple attacks, it outperforms other trust evaluation methods not only in the accuracy of detecting malicious nodes, but also in the tolerance of abnormal conditions. This paper is supported by National Natural Science Fund of China under Grant No. 51477138 and Network Computing and Security Technology of Shaanxi Key Laboratory under Grant No. 15JS078; and supported by Industrial Science and Technology Project of Shaanxi Province under Grant No. 2016GY-140 and Science Research Project of Department of Education Key Laboratory of Shaanxi Provincial under Grant No. 15JS078.